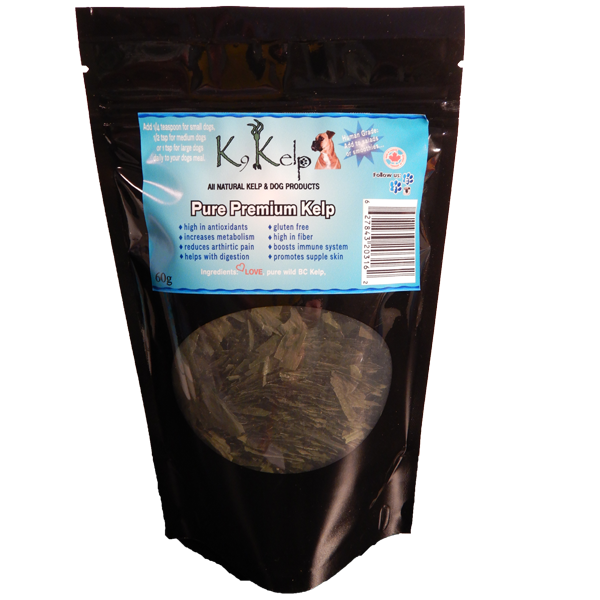 Kelp is gaining recognition as a highly nutritious food for not only humans but also for animals. 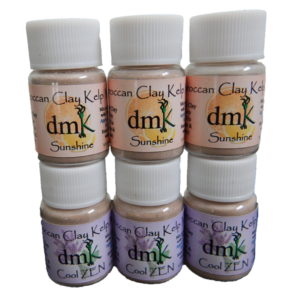 With a broad spectrum of traces of minerals and vitamins of any plant group in the world. This supper food has been known to help dogs in many ways. 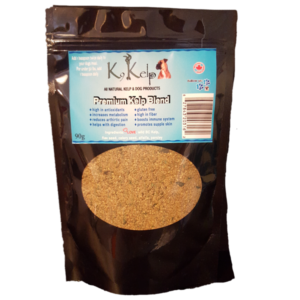 The reason they contain this wide range of nutrients is because of their ability to absorb minerals directly from ocean water. 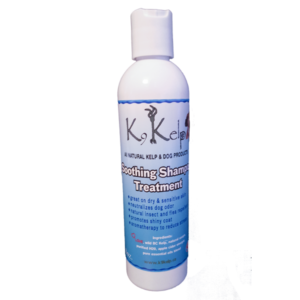 Unlike land plants, kelp and seaweeds do not have root systems to absorb minerals. Instead, they absorb minerals directly through the plant tissue from the mineral rich seawater they are living in. 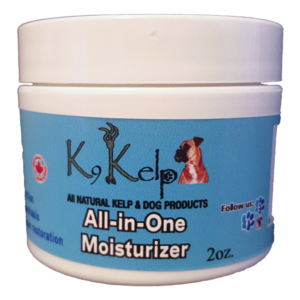 The Pure Kelp is more concentrated which means you will use less (only a small pinch once or twice per day) We have had our customers using this product on dogs with Arthritis/Join Issues as well as very dry skin issues and have seen incredible results. 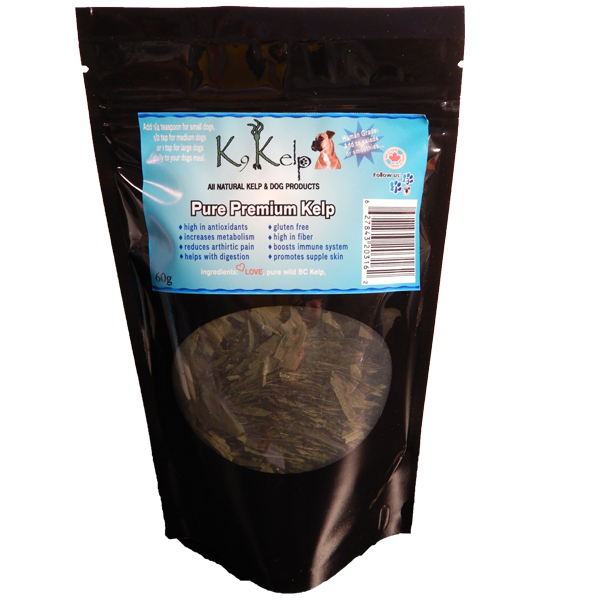 Kelp is a great start to helping your furry loved ones and why not for our dogs when it’s great for us! Like we always say, It doesn’t hurt to start with natural before having to rely on medications unless it is necessary.